Don't let your teens make these common driving mistakes! The day your teenager gets their driver&apos;s license is filled with both excitement and fear. While you are confident in your child&apos;s ability to drive safely on the road, there is no such thing as being too careful when driving a car. So before they get behind the wheel next, warn them about the dangers that can come with making these common driving mistakes. Most teens think they are untouchable once they get their license to drive. Not to mention that as an inexperienced driver, a teen may not be able to determine their actual speed and how quickly they need to slow down. Going over the speed limit poses a danger to everyone on the road, and having a speeding ticket can result in heavy fines and even points against your license. Rotating the tires brings plenty of benefits to a car but is often overlooked. Remind your teen that if they rotate the tires every 7,000 miles or so, they will be able to save on gas mileage, cut down on emissions, and be able to use the tires for longer. Don&apos;t worry if you or your teen don&apos;t know how to do this; getting your car serviced at an auto repair service will usually do the trick. 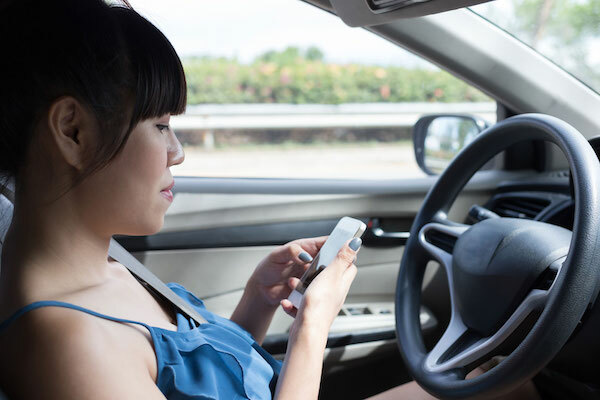 It goes without saying that it is imperative to ban cell phones from any teen&apos;s car. New drivers are easily distracted, so help them concentrate on the road by limiting their music channels, taking away their phone, and not allowing them to drive with more than one friend in the vehicle. Teens may not think that getting your car serviced is a priority. However, forgetting to have a simple check can prove to be especially dangerous. A mechanic will be able to notice if something needs fixing that may slip by the untrained eye. For example, you need to replace your brake pads every 20,000 miles and change the spark plugs after 30,000 miles, but these details are often overlooked. Unfortunately, motor vehicle crashes are the leading cause of death in teens. Make sure your teen&apos;s vehicle is — and stays — in tip top shape by bringing it down to our Roseville auto shop today!